Congratulations to the NSO’s Rosalind Miller! We pass our congratulations to our colleague Rosalind Miller who was awarded a British Empire Medal (BEM) in the Queen’s Birthday Honours List 2018 for her services to interfaith. 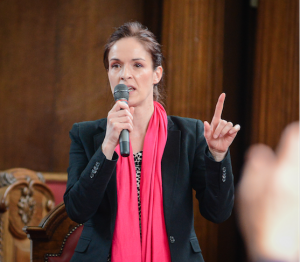 Rosalind has worked as a Development Director, for Islington Faiths Forum and has been committed to interfaith work for many years. We have especially taken interest in the new section on Islamophobia. Remarkably it categorically fails to address the negative reverberations of Islamism on non-Muslims, failing to point to statistics that show significant numbers of them have fallen foul of anti-Muslim hatred. Section 142, titled ‘Anti-Muslim Racism: Islamophobia’ makes reference to anti-Muslim hate crimes in London recorded by the MET police in 2017. Data obtained by us from FOI requests show that of the 1267 ‘Islamophobic hate crime statistics’ in the financial year 2016/17, 916 victims gave their religion as Islam, 89 gave other religions and 263 victims did not provide details of their religion. So in summary 28% of the victims in this period were non-Muslims or of unknown faith. Despite referring to MET figures, this important fact isn’t even acknowledged by the editors. 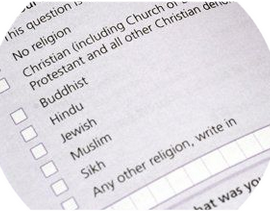 It is clear from these and previous figures we’ve obtained, that there is a trend in what we describe as the racialization of Islamophobia – a theory which may explain why Christians, Jews, Hindus, Sikhs, Buddhists, Atheists and Agnostics have all been recorded by the MET police as victims of anti-Muslim hate (2016 data). Difference is all that matters, and perpetrators care little for whom they vent their hatred towards. 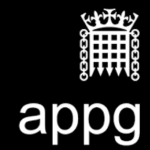 What’s clear with the publication of this document, which follows on from the government’s hate crime action plan – Action Against Hate (2016) – the wider implication of Islamophobia on non-Muslims simply isn’t on the government (or judicial) agenda. 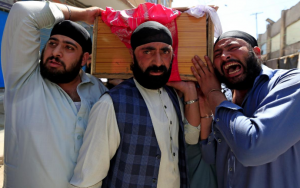 Despite Sikhs having been murdered in the US and the attempted murder of a Sikh dentist in Wales, as well as the targeting of gurdwaras following terror attacks like the London bombings, there is little concern or focus on the suffering of non-Abrahamic faiths. 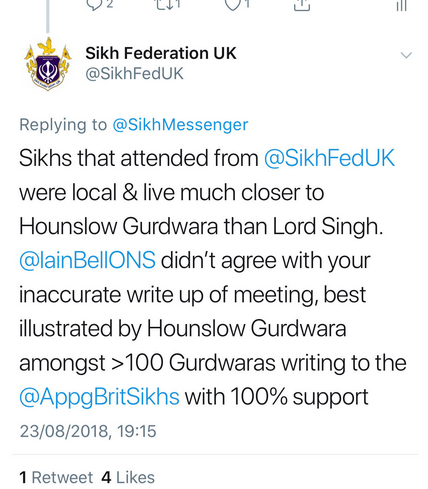 Whilst we sympathise with the suffering of innocent Muslims, we suggest the vast majority of Sikhs also know someone who has experience hate crime since 9/11, and that turbaned Sikhs (men or women) being easily identifiable are particularly vulnerable. In simple terms ‘visual markers’ (like the turban or hijab) equate to difference, and difference precipitates prejudice. This blind spot in public policy now regrettably appears to have evolved into a systemic issue amongst British policy makers. So called ‘Equal Treatment Bench Books’ must provide parity to all. The Judiciary College responded to our concerns with the following statement: ‘We would very much like to make the important point that the constitutional arrangements provide for an independent judiciary and it is not their role to reflect on the government’s agenda or policies. Accordingly, the ETBB does not belong to the Government but rather the judiciary, and as such the context and its purposes relate entirely to the process of experiencing a court or tribunal hearing. 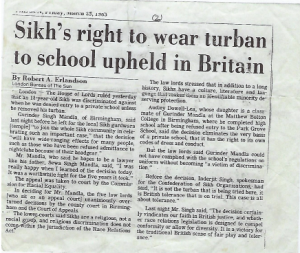 Both Senior judiciary and the College would be very concerned if you felt that those of Sikh faith did not have the same access to justice as others in the community, or were not being treated equally whilst attending court. This does not appear to be what you are saying. The way society treats certain groups is a matter for the Government’s concern. Judges can only deal with hate crimes (and other related matters) if they are brought to Court, and where cases are brought, they will be expected to uphold the rule of law and give justice to victims. 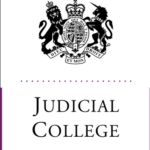 The Judicial College has responsibility for training judicial office holders who sit across the various avenues for justice which includes the civil, family and criminal Courts, a wide range of Tribunals and parts of the Coroners service. The profound desire of the team responsible for updating the Equal Treatment Bench Book was that all those in and using a court leave it conscious of having appeared before a fair-minded tribunal. 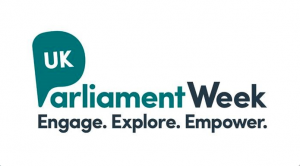 The ETBB seeks to recognise that in every instance, those attending in whatever capacity (litigant, witness, defendant etc) will want to have the best opportunity to give their evidence, to present their case, to be understood and to understand proceedings. All parties will look to the judge to enable this process. 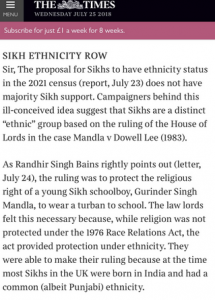 Appendix D-15 of the Equal Treatment Bench Book refers to oaths and the most appropriate form of oath taking in court for Sikhs. 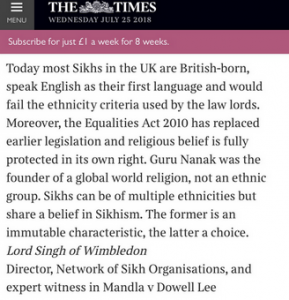 The document suggests ‘The Sunder Gutka may be suitable for the purposes of swearing an oath in court proceedings’, and it appears the authors have consulted The Sikh Council UK, who don’t appear to have objected to the principle of oath taking on a Sundar Gutka. That’s regrettable. We take the view that a truly religious person would be inclined to tell the truth irrespective of an oath, and the business of oath taking serves only to trivialise religion and is rooted in deep superstition. If a superstitious person is asked to take an oath on a holy book to tell the truth, the whole truth and nothing but the truth, the intended effect is to make him or her feel divine retribution might follow any failure to tell the truth in any statements that follow an oath. Similarly, it is assumed that even the less superstitious would be under increased pressure to tell the truth out of a feeling that a false statement would be disrespectful to the holy book to which they owe allegiance. 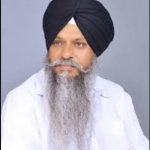 Sikhism rejects all forms of superstition. The Gurus constantly reminded Sikhs to avoid all ritualistic and superstitious practices.